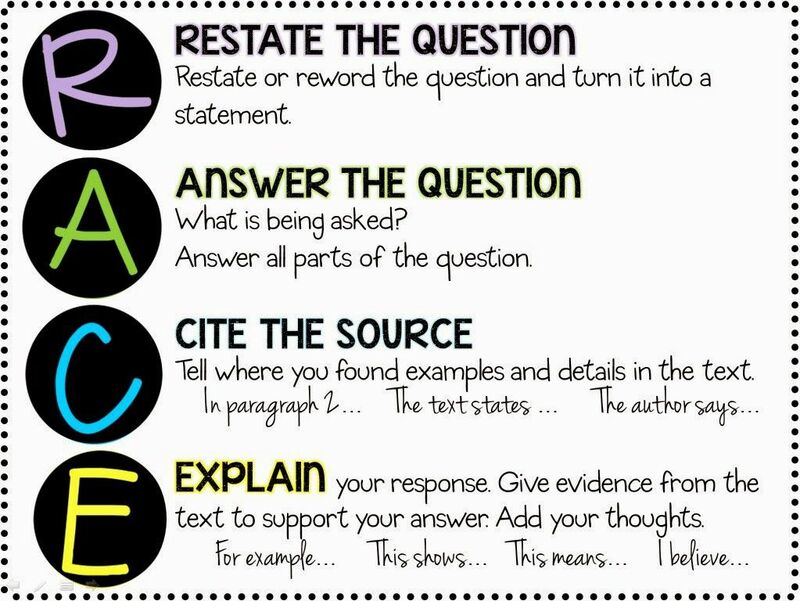 R.A.C.E. is a strategy we will use to respond to short answer questions in all subjects. Please encourage your child to use this strategy on all written responses, unless directed otherwise.